How do I change the colour of the LED’s? You can fully customise the mice LEDs using our OP software. Select the mouse from the left pane/home page. 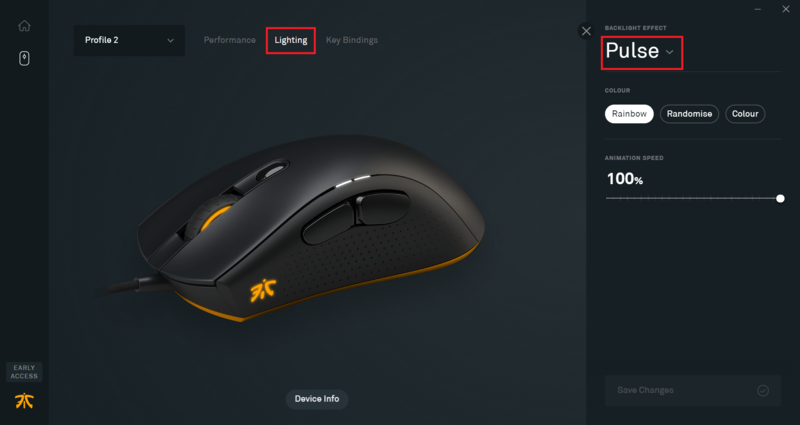 Under the Lighting tab, customise the LEDs of your mice. There are currently 3 backlight effects, each with their own colour modes. Note: Only the Scroll wheel and Fnatic side LED is available, the three profile LED’s will soon be implemented!